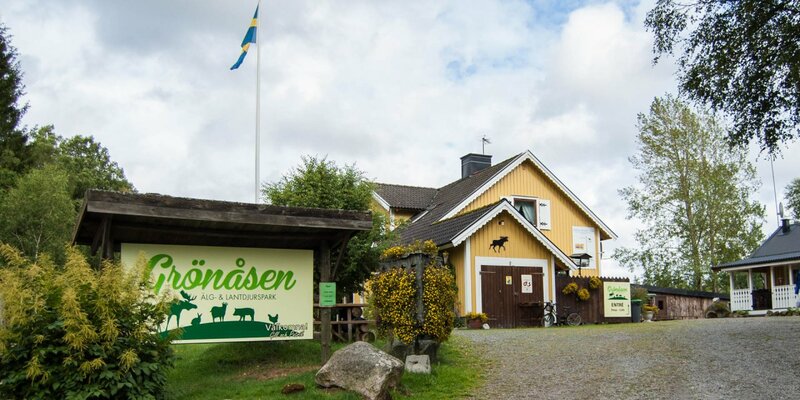 Målilla Älgpark, a family and cozy elk park with three elk families, is located on the site of the former estate Kristineberg near Målilla about 22 kilometers south of Hultsfred. 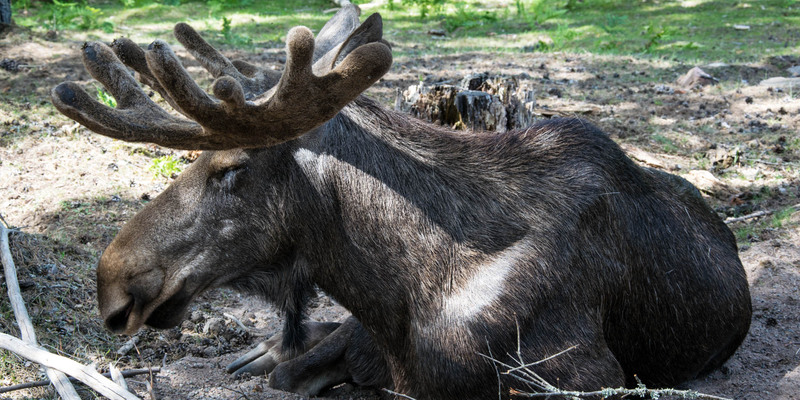 The individual elk families in the Målilla Älgpark each consist of one elk bull with one to two elk cows and some young ones, so there are constantly about 15 elks in the park. Each of the groups is housed separately in one of the three large fenced enclosure. Each of the enclosures is 5 hectares in size and consists of a small forest as a retreat for the animals, an open meadow and a visible pond, which the elks often visit, especially on warm summer days. An about 1 kilometer long gravel path leads through the park, past all enclosures. On the way, there are picnic areas in several places with tables and benches, where you can eat something or just sit and watch the elks. Each visitor gets a few twigs of fresh green to feed the elk while also petting them. Sometimes you not see the elks at once, because the animals retreat into the dense forest. Therefore, the best chance of success are the daily feeding times. In addition to the elks, there is a larger group of deer with about 10 to 12 animals in one of the enclosures. Near the entrance, next to the small playground, is a petting zoo with pygmy goats and rabbits. 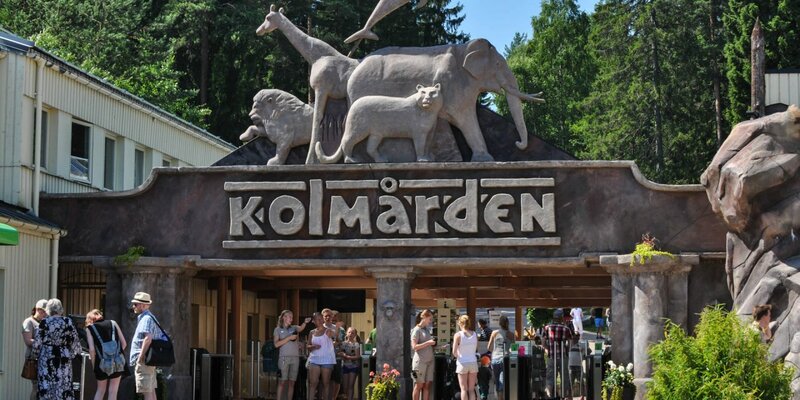 In the entrance building is a souvenir shop with a wide assortment of elk items and other typical Swedish souvenirs. There you also get coffee, soft drinks and ice cream. 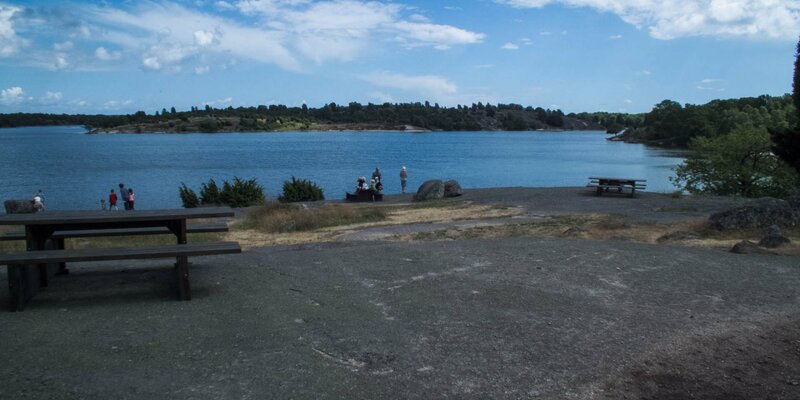 The trails in the park are quite passable with baby strollers and wheelchairs, toilets and changing facilities are located in the entrance building. Unfortunately, dogs are not allowed in the park as the elks are very anxious to dogs and would hide.